A public consultation on plans for a major housing development in Lubbesthorpe has been extended by four weeks. Blaby District Council are sending 1,400 extra letters to all houses in Millfield ward in Braunstone Town and part of St Johns ward in Enderby to make residents aware of the planning application and people now have until June 3 to have their say. 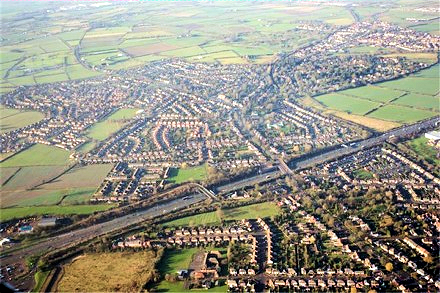 The plans for 4,250 homes, schools, two motorway bridges (across the M1 and M69) and 21 hectares of employment land were submitted in February 2011 by Hallam Land Management, Barratt, David Wilson Homes and Davidson Developments. 6,600 letters were originally sent to people in parts of Enderby, Kirby Muxloe and Leicester Forest East and all residents in Thorpe Astley and Lubbesthorpe asking for comments by May 4. People who have not received a letter can still submit formal comment on the proposal. Copies are also available to view at Blaby District Council’s main offices in Narborough and Glenfield Library. To be formally considered comments must be made either online using the Lubbesthorpe Planning Application link at www.blaby.go.uk/lubbesthorpe, by email to lubbesthorpe@blaby.gov.uk or in writing to the Lubbesthorpe Development Team at Blaby District Council. People who submit comments online can sign up to receive email alerts on any changes to the application. Updates will also be posted on the Council’s facebook (www.facebook.com/blabydc) and twitter (www.twitter.com/blabydc) pages. A second round of consultation will be carried out before the Council makes a decision on the application. For more information email Lubbesthorpe@blaby.gov.uk or call 0116 272 7565.